The Fort Wayne Derby Girls Bomb Squad bouted Killamazoo on January 23rd in Kalamazoo, Michigan. FWDG took an early lead with Killamazoo catching back up half way through the first period. Jessi Girl was a fierce jammer for Killamazoo, turning like a top to pass many blocker lines. 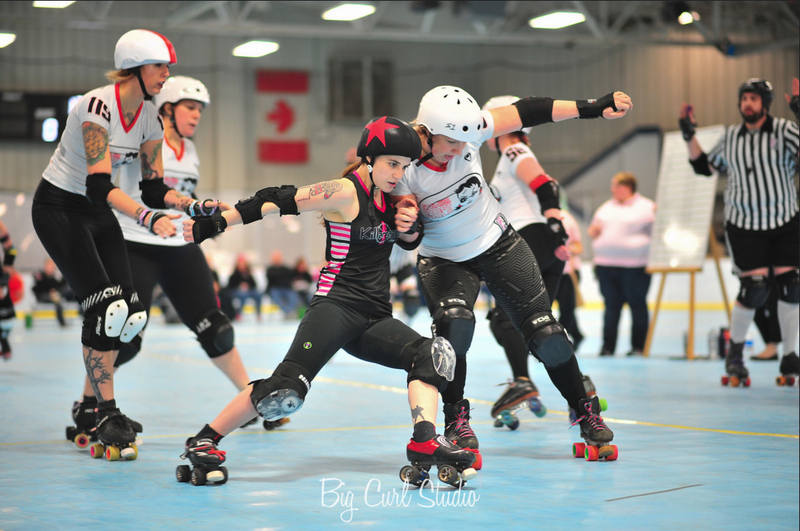 The FWDG jammers did not give any leeway, keeping a tight score through most of the bout. Legs for Days gave everyone a once in a season feat of an APEX JUMP! In the end, the bout came down to the final two minutes with Jessi Girl picking up two final points to take the lead. A final score of 175-174 for Killamazoo.